Inbound Marketing (commonly known as content marketing) is a modern approach to advertising and marketing that works with evolving consumer behavior instead of against it (as traditional marketing does). Inbound Marketing is also a tool chest, full of valuable features that will help your business generate leads and win new customers. The term 'Inbound' is closely tied to the architect of the movement - HubSpot. Not coincidentally, that is the platform that we chose for our content marketing strategy and we've found that it does everything we need and more. In fact, we've found it successful enough that we like to share it with other businesses that want to rethink their marketing strategy and we try to help guide them to similar results. We've already established that creating great content is the first step in building a successful Inbound strategy. 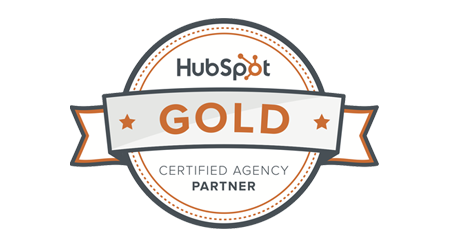 HubSpot makes sure that the process of refining and optimizing content is as easy as possible. Using HubSpot's 'optimize' tool, you can see - in real-time - a checklist of items to be satisfied before a post can be considered fully optimized. This includes things like chosen keywords appearing in the body text, headline length, internal links, images, and meta descriptions. On the side of each item is information describing why each step should be taken and what it accomplishes. Over time, using the optimize tool, you begin to develop habits of optimization and start implementing SEO (search engine optimization) best practices without a reminder. In addition to the 'optimize' tool, HubSpot also boasts an intuitive and powerful publishing platform that makes formatting your content easy. HubSpot's content publishing tool allows you to focus on developing great content, while the tool takes care of the rest. E-mail marketing doesn't have to be spam. In fact, good e-mail marketing provides value to a consumer and starts a productive conversation. HubSpot approaches e-mail the way that it should be approached. You can build e-mail workflows that will dictate when an e-mail is sent, who it is sent to, and what happens next (depending on the response). When someone shows interest in your original content, then downloads a content offer in exchange for their e-mail address, the automated workflow will kick into action. Instead of a generic sales request, the consumer receives an e-mail that speaks directly to their problem and the products/services they're researching. It's timely, relevant, relaxed, and personalized to the consumer and their needs. The best part might be that you don't have to keep track of addresses and send e-mails manually. Once you build a workflow, your e-mail marketing starts nurturing leads automatically. Social media is a necessity for any business that wants to be seen as modern and is an effective way to reach a large pool of prospective customers. But, social media can also require a full-time employee to stay on top of all of the different channels and post with consistency. With HubSpot's social media scheduling tool, you can put together and schedule a full social media calendar ahead of time (without hiring a new employee). HubSpot's scheduling tool makes it easy to craft a message, choose the channels you want to send it to (Facebook, Twitter, LinkedIn, Google+, etc. ), and then schedule it well in advance. Similar to the content publishing tool, HubSpot will analyze your message and spit out recommendations to improve its reach and effectiveness. The tool will also recommend peak hours for posting your messages. It's informative and streamlines the process. Social media works for you, instead of draining your time. HubSpot refers to blog posts or content without a call-to-action as a 'dead end.' It's harsh, but not false. You've created great original content and now, somebody has found it and shown interest. The last thing you want to do is leave that person guessing where to go next. A CTA is an enticing content offer that's relevant to the post it's anchoring. It gives the consumer a logical next step as they research a problem, solution, or product. Instead of kicking them off of the page to hunt down your phone number or e-mail address on your website, it gives them a direct way to provide contact information and it provides them with even more help and guidance that they'll benefit from. For both parties, it's beneficial. You now have a verifiable lead. They've just started a specific conversation with a company that can help them. It's a more organic way of making a connection with an interested consumer. For most businesses, SEO is all about identifying long-tail keywords that correspond with their product or service offering and using them effectively to improve their search ranking. It's not an easy game to play. The majority of businesses face fierce competition on Google and picking out long-tail keyword ranking opportunities can feel like a shot in the dark. HubSpot has a keyword tool that turns the process into a science and allows you to choose smarter keywords for your business. To start, you input a series of relevant terms for your business into the tool. HubSpot suggests long-tail keywords related to those terms. HubSpot's tool gives those keywords a difficulty ranking (based on how challenging it will be to rise in Google). It also tracks monthly searches - giving you an idea of how valuable ranking highly for that specific term might be. It spells out clearly where your keyword focus should be and the forecast for success. Data is what gives your Inbound strategy direction and might be the most overlooked of all Inbound Marketing tools. Analytics, used correctly, can be extraordinarily powerful in helping you recognize trends and refine your strategy. You can see what type of content is successful or unsuccessful. It can show which social media channels are performing well and why. 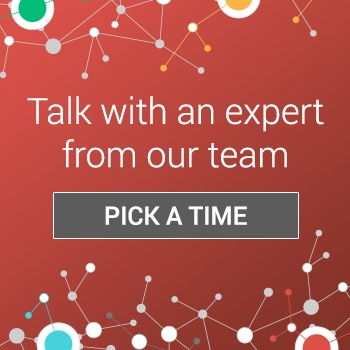 It can reveal which CTAs are driving engagement and which CTAs need to be redesigned. The information that data reveals is what helps you successfully pivot your marketing strategy. It saves you from sinking undeserved time into tasks that aren't moving the needle and shines light on the ones that demand more focus. Using HubSpot's reporting tool, you can stay informed about your marketing strategy, its progress, and its future. 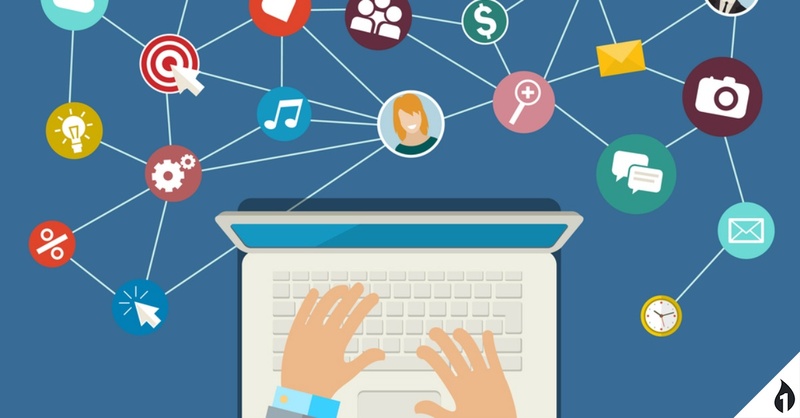 Inbound Marketing is built upon great content. The above tools help ensure that the great content you create lives up to its potential.